Albertosaurus or "Lizard from Alberta" was a viscious predator and a member of a diverse group of theropod dinosaurs collectively known as the Coelurosaurs. Weighing 2.5 tons and reaching lenghts of 27 feet, this giant tyrannosaurid was a formitable predator. Like T. rex, Albertosaurus had large doubly serrated teeth which were used to rip its prey apart. 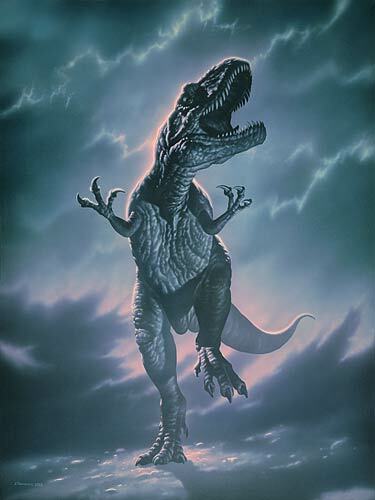 Albertosaurus had a smaller build than T. rex and longer limbs making it a much more agile, and possibly more dangerous, predator. 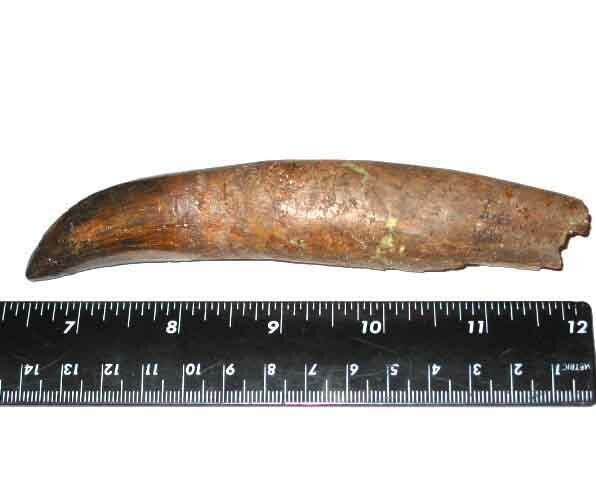 Incomparable, 6" Fully Rooted Albertosaurus tooth! SOLD! 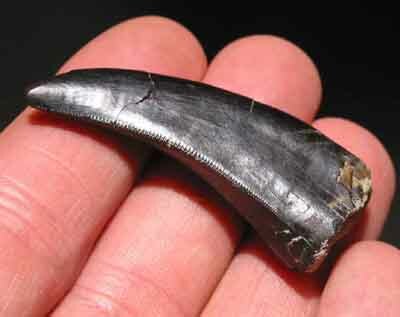 Superb, Large, Jet Black Albertosaurus tooth! SOLD! A special thanks to Joe Tucciarone for allowing us to use images of his wonderful Art work. We an accept credit cards on most items (through Paypal), cashiers checks and money orders. Arizona residents add sales tax.